U.S. Soccer officials said they have taken action in order to prevent any labor actions by the players which might disrupt events scheduled this year. U.S. Soccer filed suit in federal court against the United States women’s national team players association on Wednesday in an attempt to clarify the collective bargaining status between the two parties. The action follows recent talks between U.S. Soccer and the WNTPA about the state of affairs. The most recent collective bargaining agreement expired in 2012. U.S. Soccer maintains the 2013 agreement constitutes a new collective bargaining agreement, while executive director Richard Nichols and the WNTPA disagree with that contention and consider it a memorandum of understanding. Nichols filed notice to allow the WNTPA to walk away from the agreement on Feb. 24 and told U.S. Soccer officials this week that the organization will not rule out a strike, according to the New York Times. U.S. Soccer responded by filing suit in the Northern District of Illinois to enforce the pact as a CBA. The complaint signals a sudden escalation just as the U.S. women are scheduled to play in the CONCACAF Olympic Qualifying Tournament Feb. 10-21 in Texas. The team also is set to host the four-team #SheBelieves Cup March 3-9 in Tampa, Nashville and Boca Raton. This new event will feature four of the top five teams in the world: England, France, Germany and the Americans. In a statement released on Wednesday, U.S. Soccer officials said they have taken action in order to prevent any labor actions by the players that might disrupt events scheduled this year, including the Rio Olympics and the start of the National Women’s Soccer League’s fourth season. U.S. Soccer is seeking through legal action "to confirm the existence of the current collective bargaining agreement that has been in place since 2013." 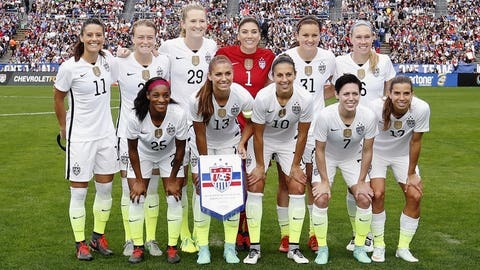 "The world champion women of the National Soccer team are negotiating in good faith to reach agreement on a new CBA that will bring fairness and equity to the sport," Jeffrey Kessler, a labor lawyer representing the players union, said Wednesday night in a statement. "The unfortunate lawsuit by the USSF is a regrettable distraction that will not weaken the resolve of the players or deter them from the bargaining table, where this dispute belongs." Goalkeeper Hope Solo tweeted: "We players stand together, united in our fight for what is right and fair. #Equality." However, in previous interviews, Nichols has said he informed U.S. Soccer that he does not believe the current agreement to be valid. The lawsuit by U.S. Soccer also arrives less than two months after the U.S. women refused to play a Victory Tour match in Honolulu over poor field conditions. The anger level over the use of artificial turf fields at the Women’s World Cup and other international friendlies was high, but it is only one issue that the women want addressed in a new agreement with U.S. Soccer. The labor strife also comes as the NWSL is about the enter its fourth season — unprecedented in women’s soccer history in the U.S. The status of national team players in the NWSL is another sticking point in the negotiations. Each player has the right to refuse to play in the league, according to Nichols, while U.S. Soccer president Sunil Gulati contends all players must play in NWSL as part of their contracts with the federation. 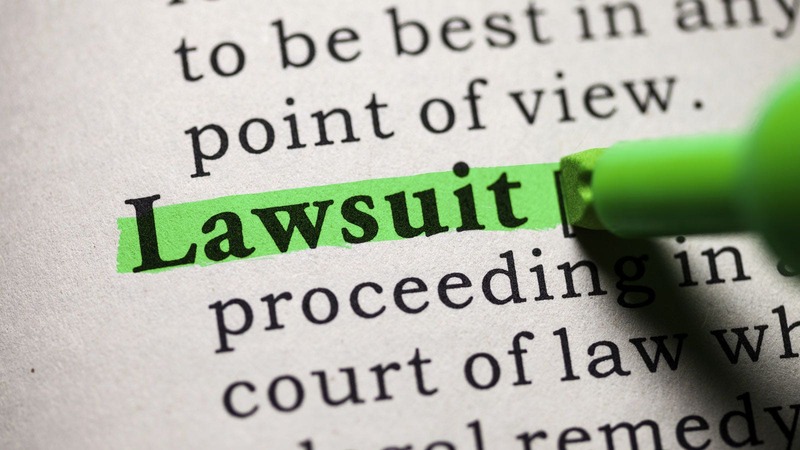 U.S. Soccer is in fact suing to assert the existence of a collective bargaining agreement (CBA). The most recent CBA expired in 2012. 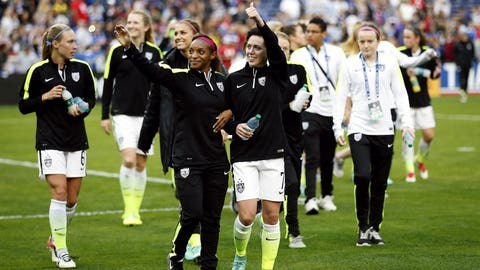 U.S. Soccer contends the agreement reached in 2013 is a new CBA, while the U.S. Women’s National Team Players Association believes it is a memorandum of understanding that allows them to exit the agreement with proper notice. In essence, this is a dispute over whether the two parties have a valid CBA or not. Lots. The women are about to begin Olympic qualification for the upcoming games in Rio this summer and the new NWSL season is in the wings. The women also are arguably at their zenith, coming off a successful World Cup in Canada. Nichols was not immediately available for comment, and the team’s players have refrained from making statements on social media. However, relations between the two parties have been frosty since the World Cup. The team did not want to play on artificial turf and went public with their demands. A “celebration” game planned around the Pearl Harbor anniversary was also suddenly abandoned after the team refused to play at what was described as substandard turf at Aloha Stadium (USSF admitted it had failed to inspect the surface and U.S. Soccer President Sunil Gulati subsequently apologized).